Considered as one of the “it” places in town, Bangsar is known as a hub for charmingly cool eateries, assorted shopping boutiques and exciting nightlife. Approximately 2.5km from Kuala Lumpur City Center, Bangsar is popular as a business hub as well and is home to quite a few expatriates in the area. From local, hearty cuisines to hipster cafes to dessert places, Bangsar is a melting pot of different food that would cater to just about any craving you have. Modern, hip and trendy, Bangsar’s a great place to explore on a relaxed day while still being able to witness quintessentially cosmopolitan lifestyle. 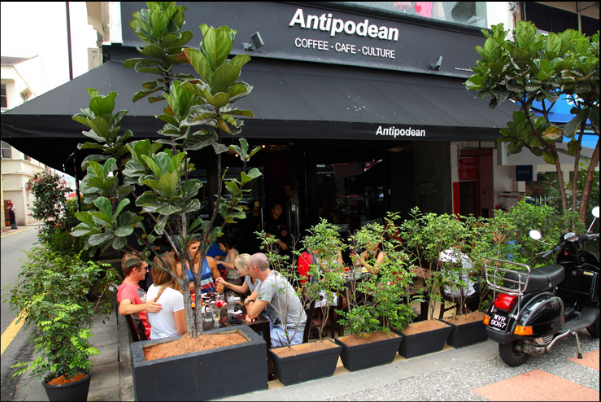 Antipodean is a brunch-style cafe that is a hit with locals in the area. While Bangsar is no stranger to cafes, this was one of the first few to really explode on the scene. Antipodean definitely falls under the “instagrammable food” category with their hearty, deliciously plated food and coffee-art-adorned cuppas. Serving up great coffee and a delicious spread of all-day breakfast on their menu, this cozy cafe is a favourite hangout spot of Bangsarians. Brickfields, also known as Little India, is just a stone’s throw away from Bangsar’s hipster heart. Entering Brickfields is like entering a world of its own – colourful, vibrant and bustling, with Bollywood songs streaming through the shops and beautifully embroidered sarees waiting to be bought. Brickfields is the kind of area where you’d have to possess great willpower not to buy anything for yourself, be it a simple Punjabi suit or an elaborate Indian costume jewellery set. While you’re there, stop by at any one of the Indian restaurants and get your fix of rice and curry served on banana leaf – trust us, you’d definitely burn the calories later in the day! 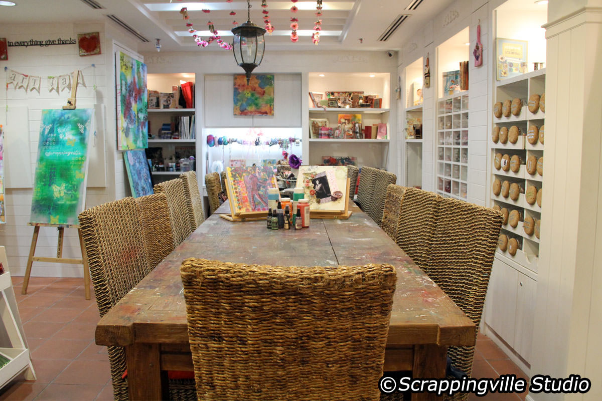 Located in Bangsar Shopping Center (not to be confused with Bangsar Village), Scrappingville Studio is an arts store and studio that’s an aspiring crafter’s haven. Filled with handicraft decorations, paint supplies and little trinkets, you’ll be able to find just about anything related to arts and crafts here. Don’t know where to get started? Take a class in scrapbooking or pull up a stool and join a painting class. Great for both adults and children alike, this is a guaranteed fun-filled time and an out-of-the-box way to spend some time. 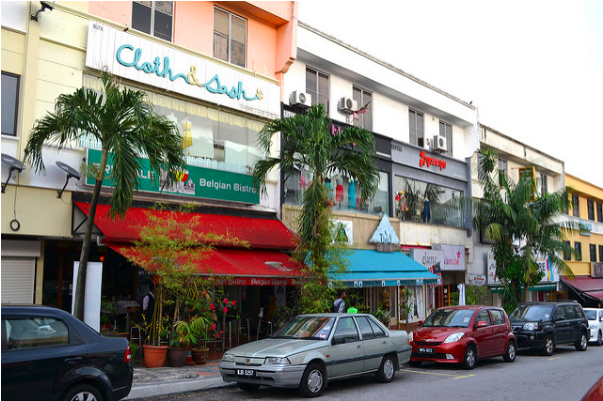 Jalan Telawi is filled with independent boutique stores selling an array of fashion, from cheap fast fashion to more exclusive local brands, these lanes have it all. With eccentric names like On A Cloudy Day, Quirky Brown Cow and Never Follow Suit, these stores usually have a chill hipster vibe to them. Even if you’re not looking for anything in particular, enjoy the decor of the stores as most, if not all the stores have really put in effort in the interior decorations (and it shows!). Who knows? You just might find a good buy or two! Hungry yet? 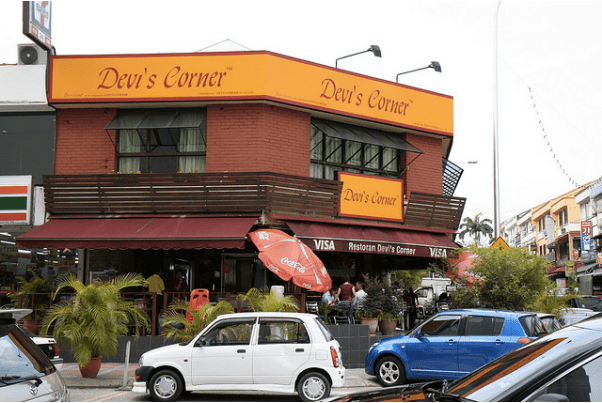 On the corner of Jalan Telawi 4 sits Devi’s Corner, a South Indian restaurant that’s famous for their banana leaf rice. 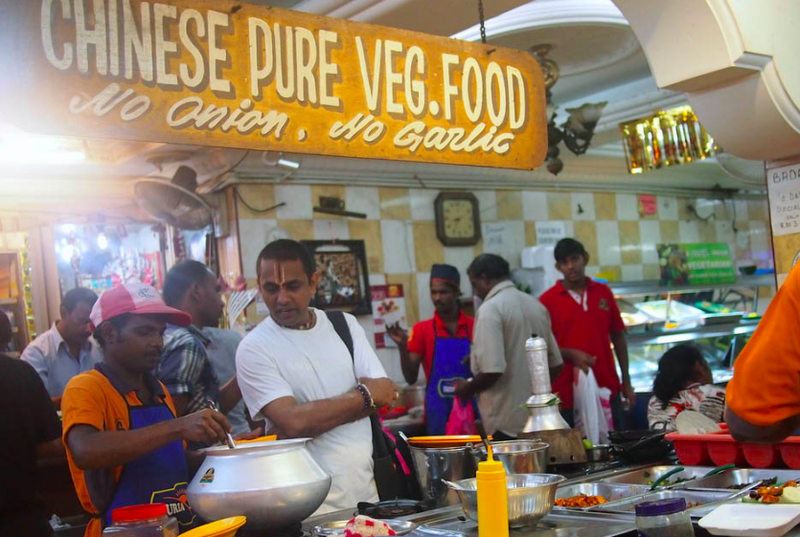 Choose from an array of spiced meats and vegetables, and to really savour the flavours and tastes, eat with your hands as the locals do (you know what they say: when in Rome, or in this case, Bangsar). Make sure you try out their crab curry with their Papadums and Indian style fried melon slices. Delicious! Just a minute away from Devi’s sits La Bodega Lounge and Deli. 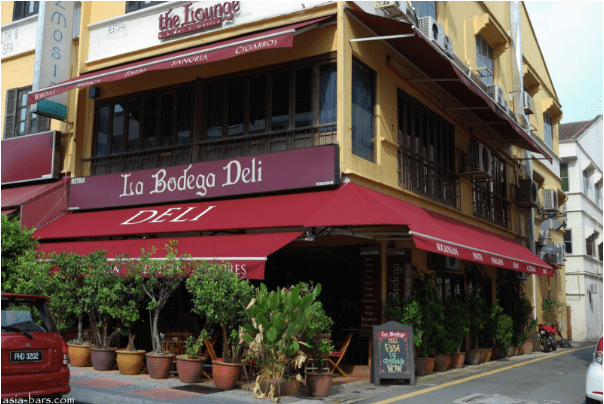 This Spanish tapas bar is a well known name on Jalan Telawi. Indulge in some yummy food downstairs and have a drink or two, or if you’re looking for something a little more upbeat, the lounge area upstairs has a bar, couches and a dance floor where the DJ is. This is definitely the way to finish off the day in Bangsar: with good food, a drink in your hand and the company of friends you can dance with!